This weekend, as many across our nation and around the world struggle with the reality of sexual abuse and exploitation in our communities, our churches, our homes and in the highest levels of our national life, we pray for all victims of abuse and violence. For those who have had violence perpetrated on their bodies and their souls in both horrific and in more subtle ways. For those who have been afraid to come forward with their stories. For those who have come forward and have experienced persecution, and for those who have persecuted them, that God might turn the hearts of abusers to contrition and repentance and that God might work through our struggle and our grief to accomplish God’s purposes on earth. Let us pray. Holy One, you do not distance yourself from the pain of your people but in Jesus bear that pain along with us, blessing all who suffer at the hands of another. For to you, O God, all flesh is sacred and all creation worthy of the care and respect. In your love and your compassion, bring healing and strength to those who have suffered abuse, and by your mighty justice lift them up, that in the bodies you have given them they may rejoice. In Jesus’ name we pray, Amen. In the midst of these difficult days, we pray once again for our nation, that in the midst of our brokenness and anguish we might not lose hope. Finally, this weekend marks the feast day of St. Francis of Assisi, lover of God and of all God’s creatures. In words attributed to St. Francis, we pray for the wisdom and the courage to be makers of peace, bringing God’s compassion and justice to the world in the name of Christ. Let us pray. St. Francis at St. Thomas Aquinas Cathedral, Reno, Nevada, U.S.A.
O God, make us instruments of thy peace. Where there is hatred, may we sew love; where there is injury, pardon; where there is discord, union; where there is doubt, faith; where there is despair, hope; where there is darkness, light; where there is sadness, joy. Grant that we may not so much seek to be consoled as to console, to be understood as to understand, to be loved as to love. For it is in giving that we receive; it is pardoning that we are pardoned and it is in dying that we are born to eternal life. Amen. The Very Rev'd. 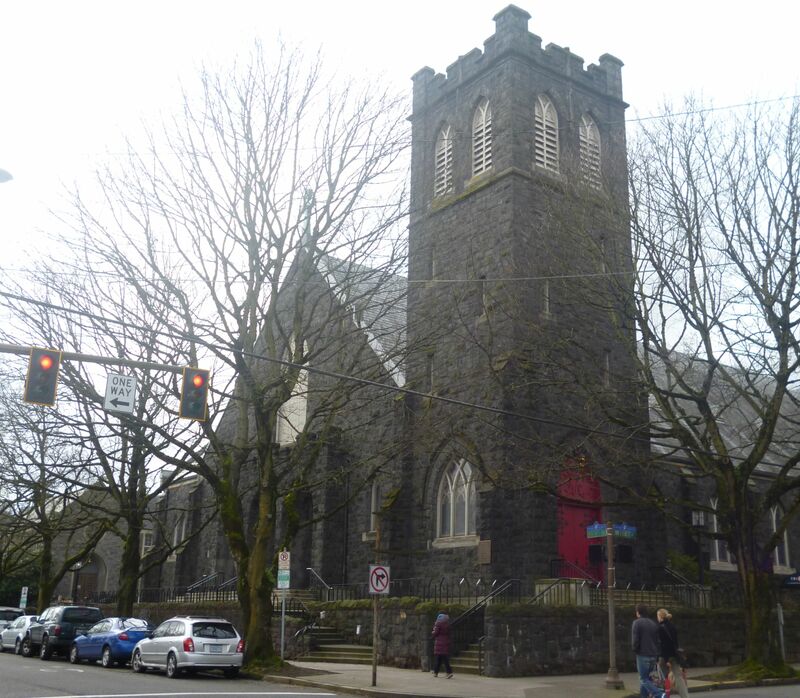 Nathan LeRud, Trinity Episcopal Cathedral, Portland, OR. Evensong prayers posted with permission.